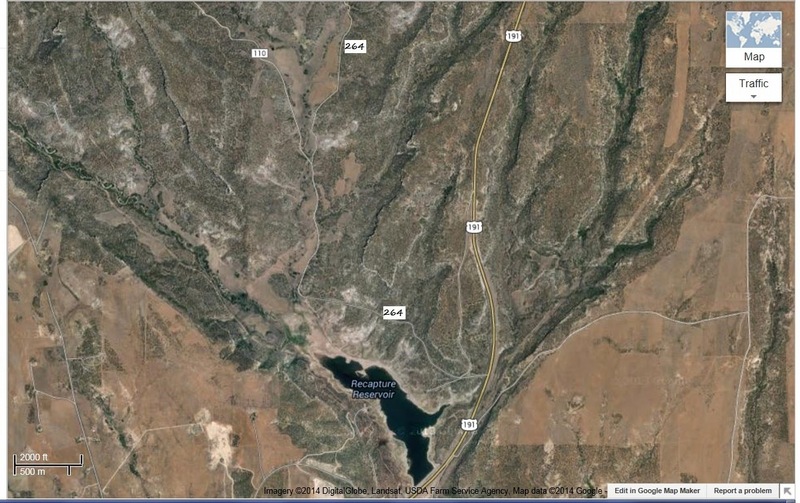 The Southwest Through Wide Brown Eyes: Recapture Reservoir and North. When Roy and I go out exploring, most of the time it is a matter of, "Hey, here's a road, lets see where it goes! "; and so it was for a road above Recapture Reservoir. Well, the road is just before you cross the bridge over Recapture if you're traveling south, and on the right hand side; traveling north from Blanding, it's just after Recapture and on the left. It's also another one of those "no road sign" roads, but it's known as Radio Hill Road North; that is until you go onto the gravel road to the left and down to the reservoir. If you continue on the road past Recapture, then it becomes San Juan County Road 264 aka Bulldog Road; oh, but wait, there's more; that little dirt trail leading off to the right is the ATV trail for Bulldog Canyon. Confused already...map time! Recapture Reservoir is not as glorious as it usually is; Blanding has been experiencing drought conditions, so the water level is low. While that affords more camping area around the man made lake, it does inhibit boat usage somewhat. Even though not at full capacity, the sunlight upon the water sparkles like diamonds; the surrounding scenery is still awesome to behold. Back to exploring, heading up CR 264 the scenery is quaint and pretty; a great view of the Abajo Mountains in the distance. It's about three miles before you reach a junction; CR 110 to the left and CR 264 continuing up to the right. We decided to go left first; CR 110 only goes for about 3.5 miles before reaching the entrance to the Manti-La Sal National Forest and FR 084. Now I have to let you know that we did this adventure in April and while it didn't look like much snow was still in the mountains, don't be fooled. We were only able to travel four miles before we met up with a snow packed section of road we had no intention of trying to travel upon. Here's a hint for visitors to the area; April snow, May mud, June dry...general rule of thumb for traveling up in the Abajo Mountains, and arguing with the employees at the Welcome Centers will not make the snow or mud conditions go away. Don't be rude, you'll only look a fool. Off Highway Vehicle (OHV) Trails are aplenty up in the forest. Alrighty then, backtracking those four miles to the junction, it's back onto Bulldog Road which, of course, parallels Bulldog Canyon. The ATV trail for the canyon can be accessed/exited back at Radio Hill Road North, but it can also be accessed/exited at the end of CR 264. It does end, in two miles, at a fenced area which has a "No Trespassing, Land Leased for Hunting" sign on the post. The ATV trail is somewhere off to the right hand side of the road, but we didn't go looking for it; it's rated moderate for ATVs though. Hunting season for wild turkeys begins at the end of April, so these guys were not sticking around to find out if we were "friend or foe". While looking at the rocky scenery, we noticed a darker area in the cliffs and wondered if it was a cave; caves sometimes have ruins in them. We were able to get a closer view with the zoom lens on my camera, but the darker area turned out simply to be desert varnish. It was on the ledges nearby that we finally spotted the cliff dwelling; this was at 1.5 miles up from the junction, looking westward. The temperatures seem to have finally made a decision about getting warmer and staying there; the snow is melted, the mud is drying. During the summer months, we're hoping to get back this way again and explore FR 084 deeper into the Manti-La Sal National Forest.